Fix bug UDP checksum calculation. Check for zero result should be done after not before inverting. < /** Whether to pretend that we are every host for TCP packets. TUN (namely network TUNnel) simulates a network layer device and it operates with layer 3 packets like IP packets. TAP (namely network tap) simulates a link layer device and it operates with layer 2 packets like Ethernet frames. TUN is used with routing, while TAP is used for creating a network bridge. Packets sent by an operating system via a TUN/TAP device are delivered to a user-space program which attaches itself to the device. A user-space program may also pass packets into a TUN/TAP device. In this case the TUN/TAP device delivers (or “injects”) these packets to the operating-system network stack thus emulating their reception from an external source. 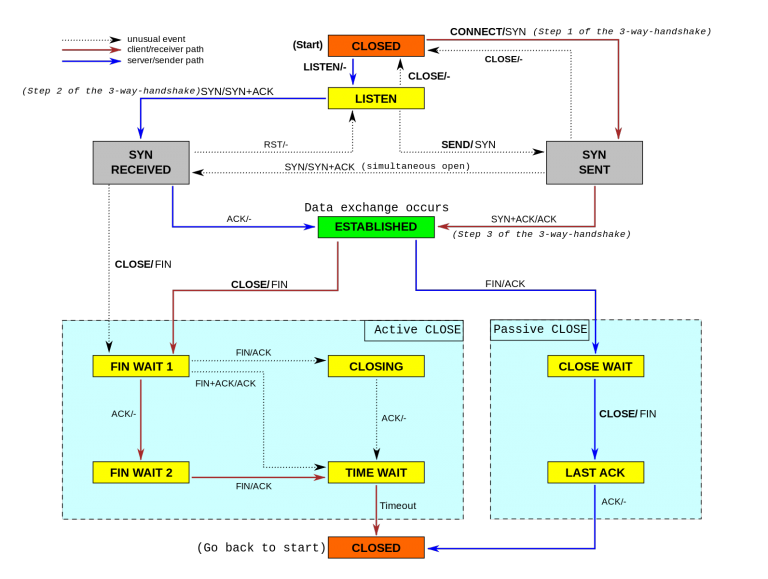 INFO(lwip): tcp_input: packed for LISTENing connection. INFO(lwip): TCP connection request 35424 -> 443. 00000010: 0a 00 00 02 01 bb 8a 60 00 00 19 6e fd de 46 96  .......`...n..F.